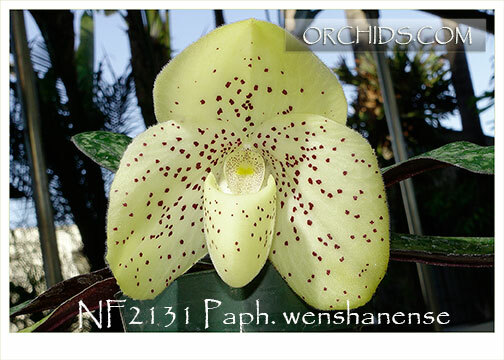 A new strain of this Paph. 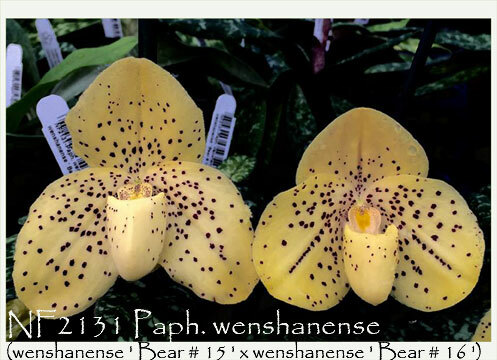 species created by Mr. Bear from the famous Bear Nursery in Taiwan ! Our photo illustrates this amazing butterball yellow strain of the species showing exceptional form with a wide dorsal sepal and broad petals. As its flowers first open, it appears light yellow but within 10-14 days the flower matures to a rich deep yellow. A robust grower and very vigorous strain, it has flowered twice a year for us on every new growth, both spring and fall. 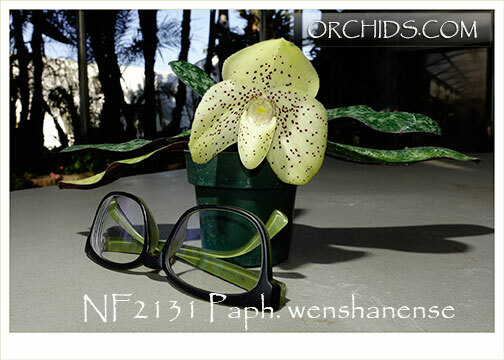 Yet another reason to upgrade your Paph. collection to one of the newest and best of this species !